A healthy heart is the key to a healthy brain, as good blood flow to the gray matter is essential for function and wellness of the brain cells. What disease affects the circulatory system? 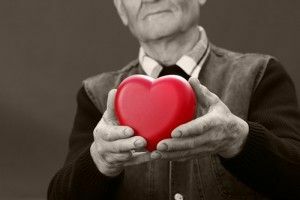 In recent years, there has been mounting evidence of the strong association between dementia and cardiovascular disease, particularly in terms of the heart condition’s tendency to starve the brain of blood. In fact, as the Alzheimer’s Association notes, the second-most common form of dementia (after Alzheimer’s) is caused by a lack of blood reaching the brain, prompting many scientists to believe vascular damage may be behind Alzheimer’s as well. A report by the University of North Texas Health Science Center at Fort Worth explored the volatile relationship between blood flow and the health of the brain. As UNT explained, the brain is extremely sensitive to changes in oxygen supply. The heart is the main factor responsible for pumping blood through the circulatory system and to the brain. In fact, as UNT explained, the brain receives more than one-sixth of the cardiac output from the heart, as well as some 25 percent of the glucose and 20 percent of oxygen in the body’s blood. With that in mind, people who have heart-health issues re generally at a higher risk of Alzheimer’s disease. For example, those who have suffered from stroke are more likely to develop dementia, as are people with high blood pressure. High cholesterol and fat levels also increase the risk of vascular damage that fosters Alzheimer’s – they can build up on the walls of the arteries, thereby narrowing these vessels and slowing the flow of blood to the brain. The effects may not be instant, but over time, the reduction in oxygen can do great damage to the brain cells. 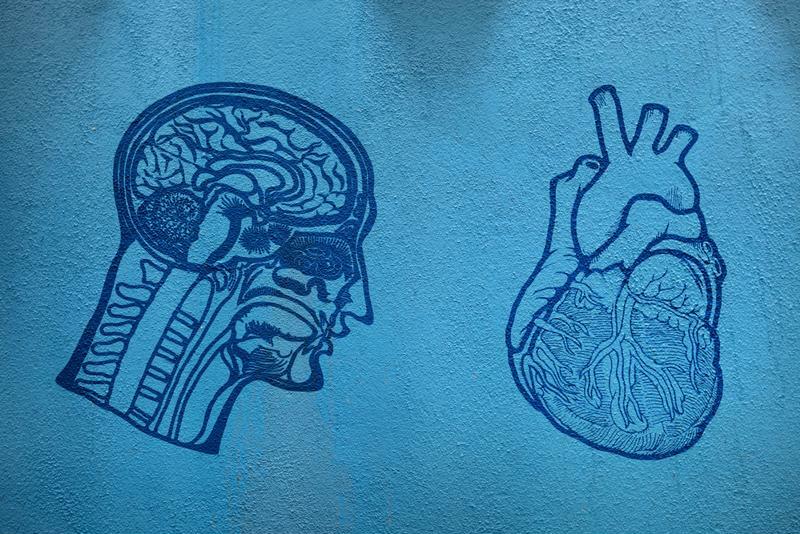 Researchers have long suspected that cardiovascular disease has a direct cause-and-effect relationship with Alzheimer’s, and recent trials have led to revealing discoveries. A June 2014 analysis conducted at the Universidade de São Paulo in Brazil involved a comprehensive review of studies into the relationship between cardiovascular risk factors and Alzheimer’s. These studies utilized neuroimaging methods such as positron emission tomography and functional magnetic resonance imaging. The scientists found a massive body of evidence that risk factors for cardiovascular disease have a causal role in the onset of Alzheimer’s. The main factors, they found, were reduced blood flow and glucose metabolism in the brain. These results prompted the scientists to suggest lifestyle changes to improve heart health and reduce the risk of dementia. “It is well established that CVRF-reducing lifestyle habits during early and mid-adulthood, including physical exercise and dieting, may reduce the risk of cognitive deficits and [Alzheimer’s disease] later in life,” the study stated. Follow a balanced diet: As the Mayo Clinic points out, eating a balanced diet based around fruits and vegetables, whole grains and low-fat proteins and dairy can enhance heart health. By doing so, a balanced diet can allow for good blood flow to the brain, and it also provides more nutrients to the gray matter to further strengthen cognitive function. Exercise regularly: The American Heart Association recommends 40 minutes of moderate to vigorous aerobic exercise three to four times per week to lower the risk of cardiovascular disease. This can be anything that makes you burn calories, like walking, swimming and stair-climbing. Quit smoking: The AHA notes that people who smoke are at a significantly higher risk of developing atherosclerosis, suffering stroke and experiencing other cardiac events. The lungs begin to heal themselves the moment you stop smoking, so it’s never too late to quit the nasty habit. Reduce stress: Chronic stress often causes high blood pressure, which increases the risk of heart disease, and it can push people to drink, smoke and engage in other bad habits for temporary relief. Rather, turn to natural, permanent solutions to stress, such as regular meditation, breathing exercises and mental health services. With these healthy lifestyle suggestions and a greater understanding of the strong link between dementia and cardiovascular disease, you can begin to work toward improved heart health in an effort to slow this progressive disorder. Such information can also be applied to those who have begun to show the signs of Alzheimer’s – a balanced diet, exercise and other heart-healthy exercises may help slow and even reverse cognitive decline.